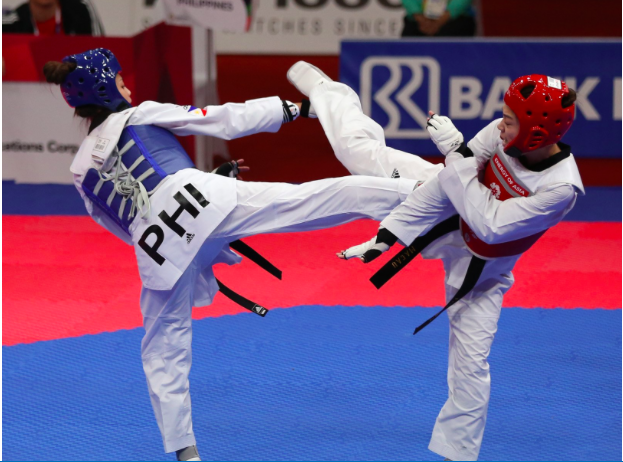 Pauline Lopez settled for the bronze medal in the taekwondo women’s under-57kg event in the 2018 Asian Games Tuesday at Jakarta Convention Center in Indonesia. The 22-year-old Lopez, who won the Philippines’ fourth bronze medal overall, bowed to Luo Zongshi of China, 11-4, in the semifinals. Lopez, the 2015 Southeast Asian Games gold medalist, steamrolled her way to the semis after dominating Gyani Chunara of Nepal, 20-0, in the quarterfinals and Xiao Feng of Macau, 8-0, in the Round of 16, but the taller Luo offered a different challenge. Frustrated, Lopez couldn’t hide her disappointment over the loss.